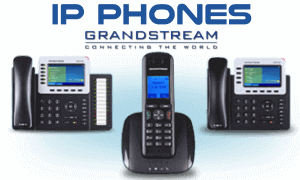 The Grandstream GXP2140 IP telephone system is a Linux-based device that has 4 lines, Gigabit ports which help fastest connection speed, 5 XML soft keys for customization and voice conferencing 5 way to keep users in touch. The GXP2140 gives HD voice quality on headsets as well as speakerphones. 4.3 Inch color screen and HD voice help to make outstanding quality voice calls. This IP phone also features Electronic Hook Switch support for Plantronics headsets and a built-in USB port. The GXP2140 is compatible with the GXP2200 Extension, allowing for quick access to up to 160 contacts. Like all Grandstream Phones, the GXP2140 state of the art SRTP (security encryption technology). This phone also including lots of automatic options to make mass deployment extremely easy.